Ad agencies seemed to be everywhere at SXSWi this year. JWT had an entire truck of BBQ bustling around Austin dumping brisket on anyone who tweeted at them. Our neighbors Ignite threw a hot party, and many agency players sat on interactive panels. David Berkowitz of 360i owned the Future15 format with his entertaining and prescient talk on NFC and RFID, Rick Webb of Barbarian Group and Rob Rassmusen of Tribal DDB headed up a whole panel about agencies and technology, and Deep Focus CEO Ian Schafer led the Web 2.0 playbook for non-profits. But it was only when we got home and pulled out an old SXSW directory that we realized just how giant the agency avalanche really was this year. Some agencies that sent only one or two staffers in ’09 fielded platoons in Austin in 2011. In all, more than 1400 ad agency folks had SXSW badges this year. That’s roughly one in 13 badges. With more than 100 agencies and 1400+ agency folks badged in 2011 — up from almost nothing in 2009 — we have to wonder: will the festival be renamed SXSWa in 2012? We did a little hacking, BBQ-style, to see which agencies had the biggest presence at SXSWi. We combined agencies with the same name (Leo Burnett and Leo Burnett/Arc WW, and JWT and JWT New York, for instance), chopped and sorted by attendance, and poured a little sauce on top to get the following top-10 list. 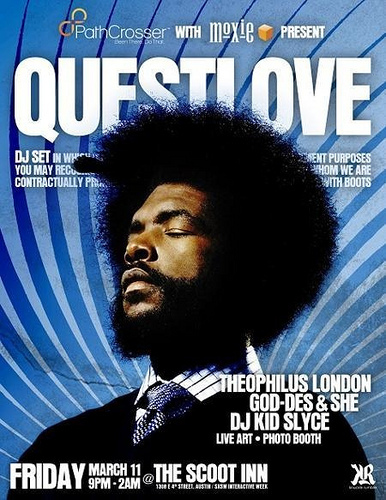 (You can also view the full list of 100+ ad agencies attending SXSWi at the bottom of the post. To illustrate the magnitude of change, we’ve added a column with the same ad shops’ attendance counts for ’09.) See the bottom of the page for the full list of agencies. Tuesday Update: We’ve mined SXSW’s online directory and updated the rankings. Leo Burnet remains King of SXSWi but there are lots of new entrants. Using the online database, ad agency attendance swelled to 1479 from our previous tally of 1013. You can see both print and online directory numbers from 2011, and the 2009 print catalog numbers in our spreadsheet. We’ve calculated the delta between online and print directory, since this indicates which agencies plugged into SXSWi first and bought badges at the last minute. 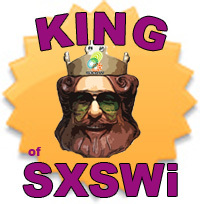 So it’s our pleasure to award this year’s “King of SXSWi” badge to Leo Burnett, who brought an army of 56 to Austin. That’s a Texas-scale achievement for an agency that had zero attendees in 2009. We give Razorfish the honorary “Boy Scout Badge” for being most prepared for SXSWi by having the most employees registered ahead of the print deadline. At the same time, there are still some notable agencies who didn’t get badges. Even though Moxie threw a giant party, nobody from the shop appears to have bought a badge. Really? We searched the online directory, and Moxie did buy some badges. But why so late that they missed the print directory? Think your agency should be on this list? Did we get your agency’s numbers wrong? Feel free to update our spreadsheet, and let us know what we’re missing. If you’re one of the unlucky cats at Carat, Grey, or any of the other agencies who didn’t make it to Austin, be sure to forward this post to your boss and maybe we’ll see you next year in Texas. Update: Steve Hall thinks exposure to SXSW’s mix of ideas, creativity and non-agency minds will be good for advertising agencies. Blogads staff have been attending SXSWi since 2005. If you were puzzled by the video triggered by the QR code on our ad in this year’s SXSWi directory, this post gives a key to one of its meanings.